2nd Year in a Row! Join Celebrity Fitness Trainer Monte Sanders in-person at one of his highly sought after fitness camps! If you’re looking for guidance, accountability and motivation, we’ve got a spot for you! Don’t have time to make it to the gym? Who does these days? Don’t let that stop you from having the healthy and fit body you want! 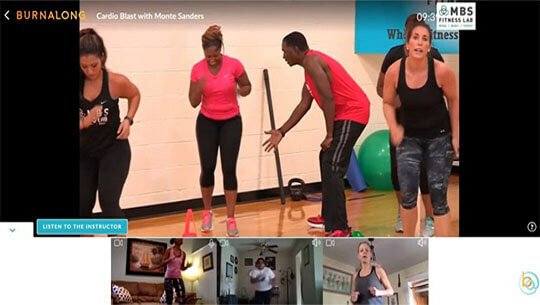 If you’ve got a phone, computer, tablet or TV you can workout with Celebrity Fitness Trainer Monte Sanders from the comfort of your home. Everyone has a story. Our next success story could be yours! Monte Sanders is a highly sought after Celebrity Fitness Trainer and Expert. For more than 20 years, as CEO and Founder of M.B.S. 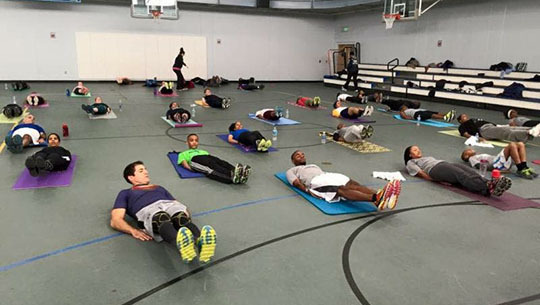 Fitness Lab, Monte has been working to transform lives. Some of his most notable work has been seen on the football field with his future Hall of Fame clients, Ray Lewis and Ed Reed of the Baltimore Ravens. At M.B.S Fitness Lab, we believe in exercising your mind, body and spirit … focusing on all parts of our being as we strive for balance. Whether in-person or online, each workout will challenge you, change you and inspire you to want more. SIGN-UP FOR ENEWS Sign up here to receive the latest news and information about us!